Brothers in bands are not always a good combination. In recent times we've seen major disagreemants between the Gallaghers in Oasis and the Campbells in UB40. The tension, the arguments, sometimes the physical fights, make for great drama and lots of column inches in the newspapers. So it was with The Kinks, with elder brother Ray Davies regularly falling out with younger sibling Dave. It's a rift that only recently seems to be healing but there's no mention of that in Sunny Afternoon which concentrates on the band's early years, examining the birth and rise of The Kinks. It certainly is a remarkable story as sibling rivalry is matched by friction with other band members, particularly guitarist Dave Davies and drummer Mick Avory. 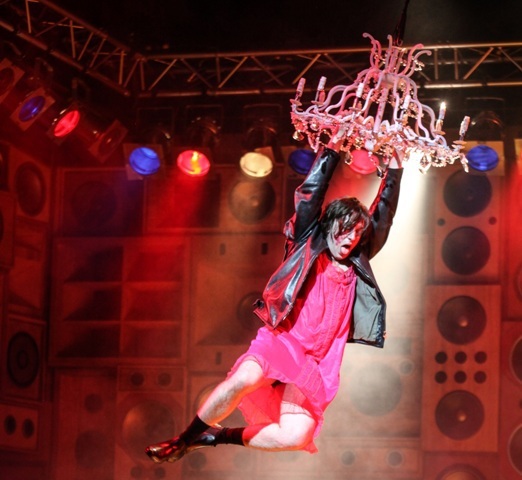 Their well documented on-stage punch-up in Cardiff closes the first act and contributes greatly to the drama which also includes a drunk negligee-wearing Dave swinging on a chandelier, the band being banned from America and disputes over management, income and song ownership. 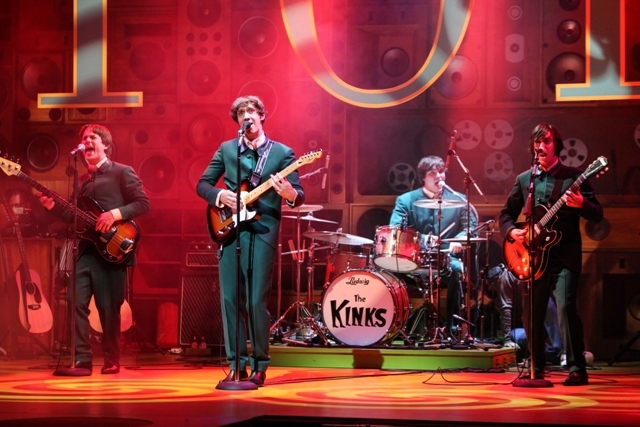 Based on Ray Davies' memoirs, Joe Penhall's script is gritty and witty with some knowing quips about the '60s. The songs of The Kinks are used to establish a timeline – first number one single, You Really Got Me, comes early on, the eponymous 1966 hit, Sunny Afternoon, and 1970's Lola are near the end – but other tracks, such as Dedicated Follower of Fashion and Rock 'n' Roll Fantasy, are out of sequence, becoming part of the biographical narrative. That's part of the beauty of this production – it's not your standard jukebox musical; it's a strong story supported by some great songs and musicianship. Its West End residency won it the 2015 Olivier Award for Best New Musical but it stands or falls by the quality of the cast performances – and in this case they are excellent. Ray is played by Ryan O'Donnell who has a great voice - until last year he was a member of Jethro Tull/ Ian Anderson Band. 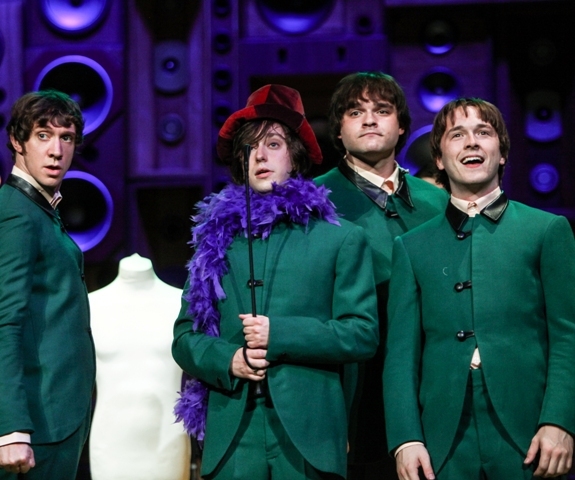 Andrew Gallo takes the role of the prickly Mick Avory, with an impressive drum solo in the second half, while bass player Pete Quaife is played by Garmon Rhys skillfully portraying the isolation he feels within the group. At the risk of adding to the inter-band (inter-cast?) rivalry, I have to say they are overshadowed by Mark Newnham as Dave 'the Rave' Davies. 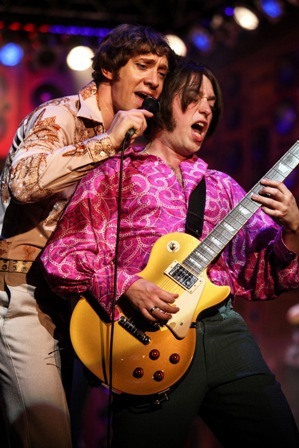 It has to be said, however, that it's a role to die for – he gets the funniest lines, the best moves and the chance to play the roof-raising, mega-loud legendary guitar riff in You Really Got Me. By the end of the opening night show the audience was on its feet, singing along. May 2 - 6: Grand Opera House, Belfast.